I wish I had hired a doula. I don’t think I’ll be having another one, but if I did, I would definitely do it the next time! I didn’t have a doula with either of my kids. It just wasn’t for me, but I can see the benefit, and I’m glad you had her there for you! 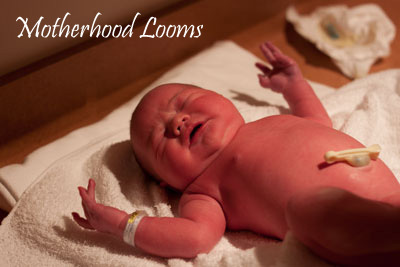 I’ve heard wonderful things about doulas! I’ve never been preggo… but would totally consider hiring a doula if we finally get a positive pregnancy test! I’ve never had one with my first two children and I actually haven’t heard a lot about hiring a doula so I appreciate learning more. Thanks for sharing the info. I didn’t have one with any of my three children. I was very blessed to have a very supportive OB with the first and a fabulous midwife with the latter two. Supportive medical staff is worth their weight in gold. Yes!! Doulas are amazing!! They are always there to help you and can give your husband a break. Plus they can help you ask the right questions in those crucial moments of birth. Our doula was amazing and worth every penny! I hired a doula but I had a precipitous birth so she never made it to the hospital in time for the birth of our son. Heck, baby’s daddy almost missed it because he was parking the car! If I had been in labor for more than a couple of hours though I’m sure it would have been worth the $$ we spent. A doula was one of the best decisions we ever made. I took my Birthing from Within class with her and it was fantastic. My birth plan was to water birth naturally at a birth center. After laboring for 3 days, I ended up transferring to a hospital. My husband and I were both exhausted. I hadn’t slept, used the restroom, or kept any food down for days, by the time my son was born, my water had been broken for over 37 hours. My doula was with us every step of the way, and our midwives from the birth center were too. Of it weren’t for them, I don’t know how we would have dealt with it all. A huge help was post-partial, when I was grieving the loss of my birth plan. My son was born healthy, but it was still hard having had things gone so difficult. I highly recommend using a doula. I hope with my next birth I can have a doula and a home birth. My first birth experience was okay but my baby came so fast I had her in the parking lot and when I finally got to the hospital all they kept saying was how next time I would have to be induced. I was right on “schedule” with my due date and had no pregnancy issues and my baby slid right out when she was born so I don’t see a need for an induction next time around. I would just like to stay home and away from the hospital.